These puppies are growing at a fantastic rate and looking great! 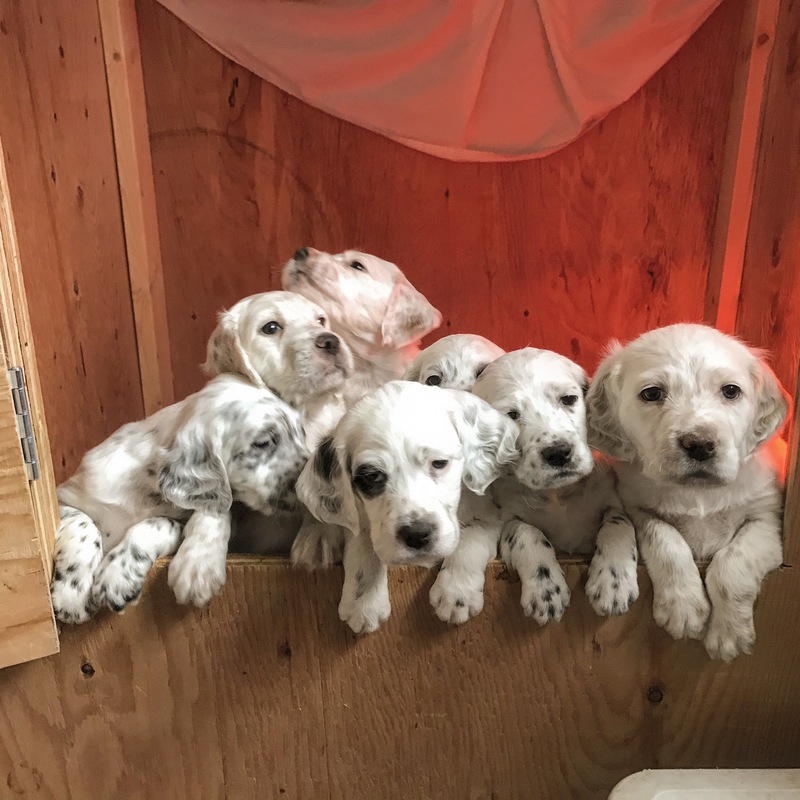 Here’s a quick snapshot of almost all of them ready to jump out of the box for their romp a room time. We currently have one male available from this litter. Picking occurs Friday/Saturday this week. Next Post Pixel puppies have arrived!